1. Take 2 tbsp Luke warm water,add sugar and dry yeast.Keep aside for 5 minutes .When it becomes frothy,add this to a blender along with rice flour,salt and 2 tbsp sugar.Add enough coconut milk and blend well.Add cooked rice and coconut into this and grind in to a fine batter.Consistency should be thinner than dosa batter,not too watery.Keep aside for 5-6 hours or until it gets fermented. Now,heat *Appam griddle.Keep it in simmer and add 1 big ladleful of batter.Swirl it and cook appam closing the lid.After swirling the griddle ,keep it on medium flame. 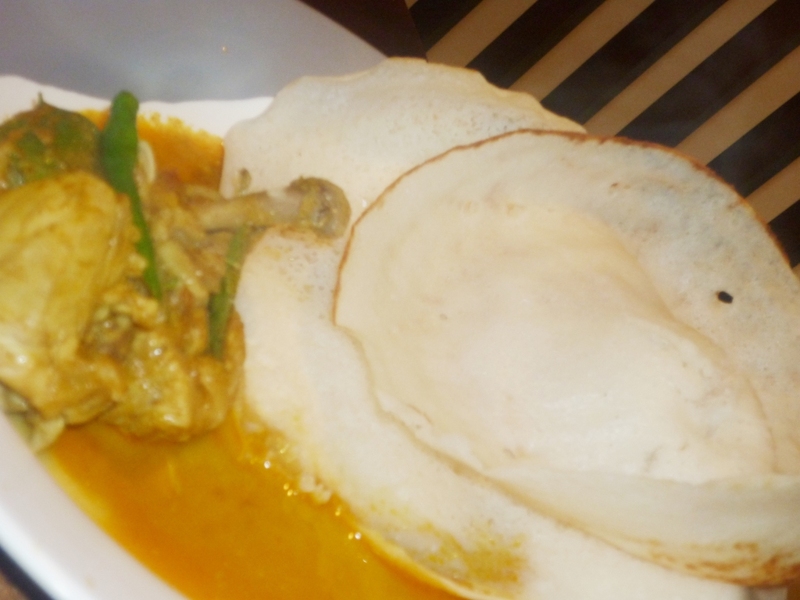 Serve Appam with egg roast/Chicken Mappas/Veg Stew. 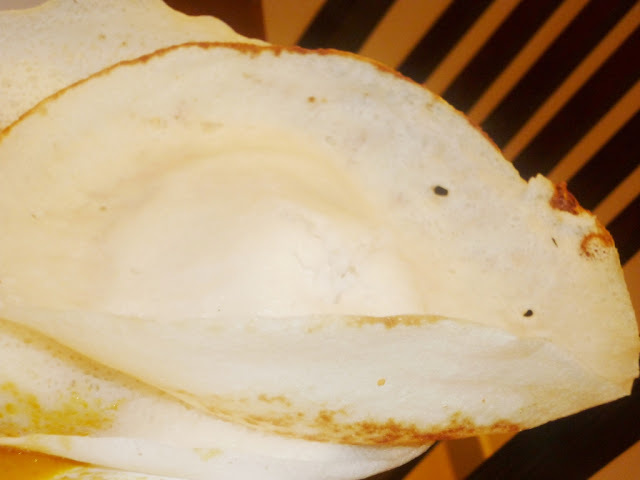 * Appam griddle--for those who are not familiar with this,pls check it out here. One of the wonderful food of Kerala, love this beautiful appams.